The facelifted Elantra, badged as Avante in the Korean market, features an overall length of 4,550 mm, which is 20 mm longer than the previous one, while its wheelbase remains the same. With front and rear bumpers extended by 5 mm and 15 mm, respectively, the new Elantra projects a more stable, balanced look. The newly-designed front bumper, radiator grille, fog lamps as well as adoption of LED light guide and projection headlamps add a dynamic, high-tech feel to the Elantra. When seen from the side, the redesigned 17-inch two-tone alloy wheels and chrome moulding on its belt line accentuate the Elantra's premium image. The new black, two-tone rear bumper and LED rear combination lamps were adopted as well. Interior design elements were modified with the aim of improving usability, reflecting feedback from customers of the previous Elantra. The center air vent position was moved upward, and front center armrest position was also raised. Rear seat air vent, 3.5-inch OLED display and ventilation seats were also adopted. The new Elantra also comes equipped with high-tech convenience features such as advanced SPAS (Smart Parking Assist System) and flex steer. In particular, a diesel version was added to its line-up to respond to the growing popularity of the diesel engine in the Korean market. 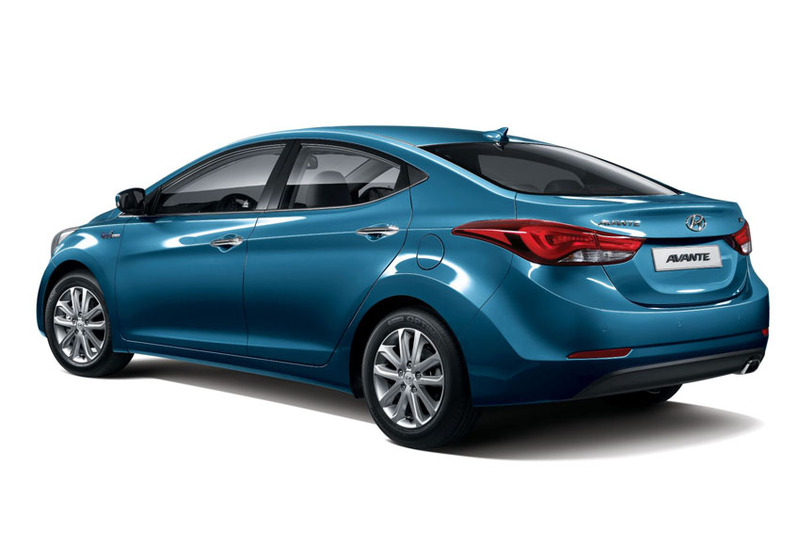 Equipped with the 1.6-liter diesel engine, the new Elantra offers a high fuel economy of 18.5 km/l (MT) and 16.2 km/l (AT), while delivering maximum horse power of 128 ps and maximum torque of 28.5 kg/m (AT). Moreover, Hyundai Motor's advanced ISG (Idle Stop & Go) system is adopted on the diesel model with auto transmission.